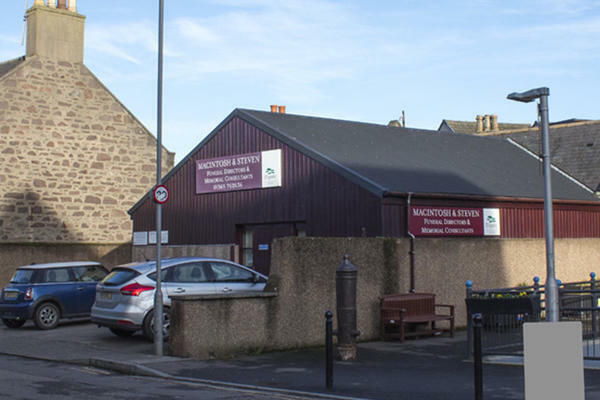 MacIntosh & Steven Funeral Directors are funeral professionals serving the local community of Stonehaven. We are here to provide bespoke funeral services with the utmost kindness and compassion. We are here to support you, doing everything that we can to make things easier for you and your family. Our funeral home in Aberdeenshire is designed to be warm and welcoming, so that you can feel comfortable whenever you visit. When making arrangements, we will work closely with you, listening carefully to your wishes so that we can arrange a fitting farewell for your loved one. You can get in touch with us whenever you need us. Our telephone line is open 24 hours a day, so we will never be more than a phone call away, whether you need advice and guidance, or any other support. We are here for you. There is limited parking at the funeral home, but ample free parking on nearby streets. We are just around the corner from St. Mary's R C Church. Our staff are available 24 hours a day on 01569 762636 if you require our services outside of these hours.